As summer slowly drifts closer, the search for ice cream becomes essential. 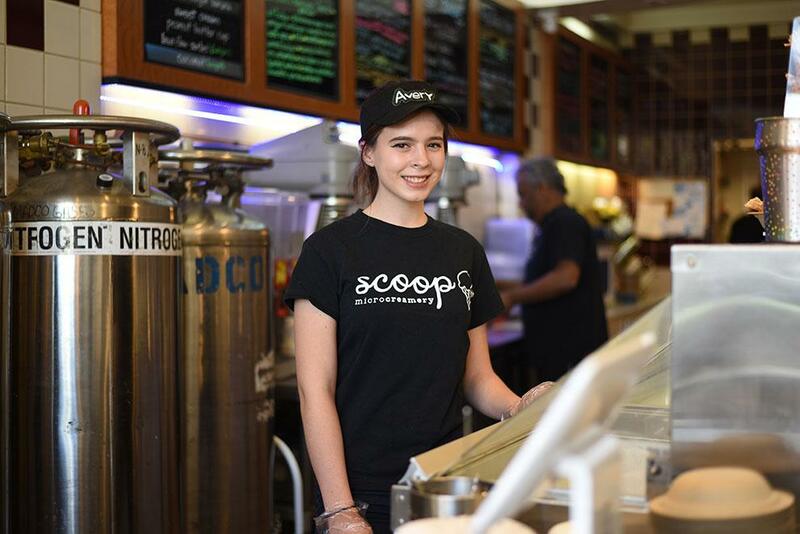 For those who enter into Scoop Microcreamery, nestled between other shops on the busy University Avenue, the buttery sweet scent of fresh waffle cones wafts from the inside of the small store to the outside street. Slightly down the street from Scoop sits Creamistry, famous for its liquid nitrogen ice cream, approximately 70 flavors and a mesmerizing ice cream-making process. In Town and Country, an impressive array of ice cream lines the counter of Tin Pot Creamery, displaying flavors ranging from Salted Butterscotch to Earl Grey. One of the commonalities among these Palo Alto ice cream shops is their large selection of vegan ice cream. An increase in the consumption of dairy alternatives since 2015 reflects the growing vegan popluation in the United States. Verde went out to uncover the sans-dairy flavors many local ice cream shops have created while producing quality, but affordable, vegan ice cream. From the first bite, the dark chocolate established itself and intensified with every bite after. Once the chocolate richness melted away, we were left with hints of mint. Because of its ingredient limitations, this rich ice cream’s texture closely resembled a sorbet as it was less creamy and more icy. Regardless of its consistency, the cocoa truffle vegan ice cream served justice to the coveted taste of chocolate and proved to be a vegan ice cream-lover’s alternative to mint chocolate chip ice cream. 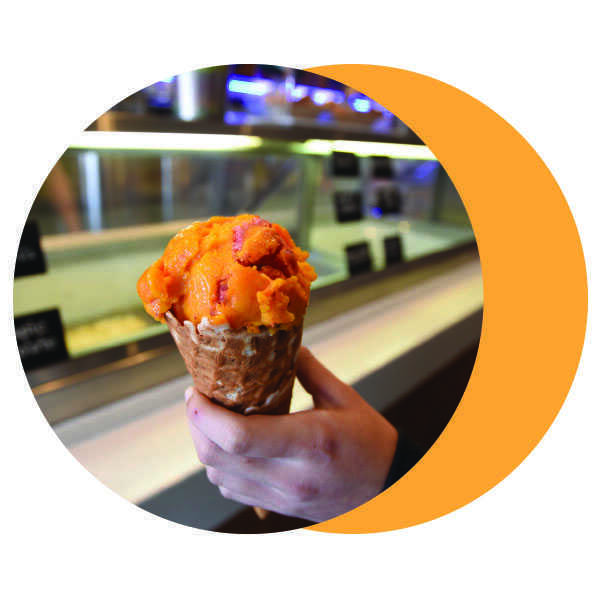 A bold mixture of bright orange and strawberry pink adorned one of Scoop’s famous warm waffle cones. The strawberry chunks embedded into the tangy mango base created a refreshing bite quickly replaced by a hint of chili powder. Complementing the tanginess of the mangoes and the natural sweetness of the strawberry, the chilli powder added a surprising kick to a common sorbet. The mesmerizing view of cloudy nitrogen spilling out of the mixing container was enough to convince us to shuffle through the doors of Creamistry. The vegan chocolate ice cream was created using a coconut base, as opposed to the other dairy base options. Delivered in a compact scoop, the ice cream appeared to have a light fudge-like hue. 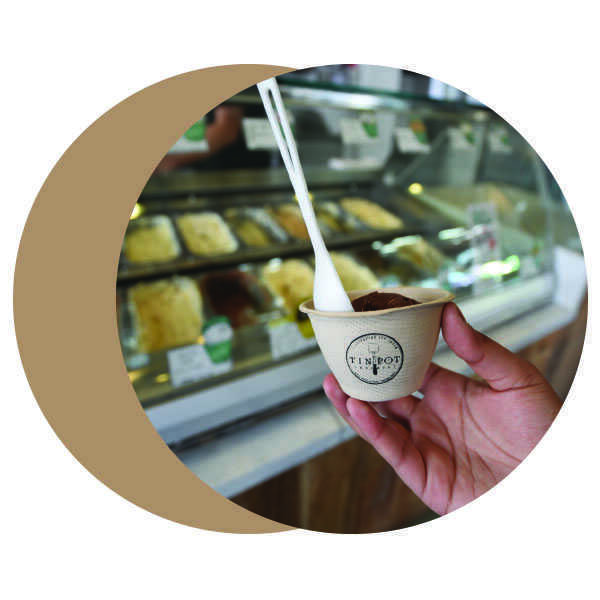 Its smooth texture almost resembled that of a chocolate mousse, which added to the overall smoothness of each bite. 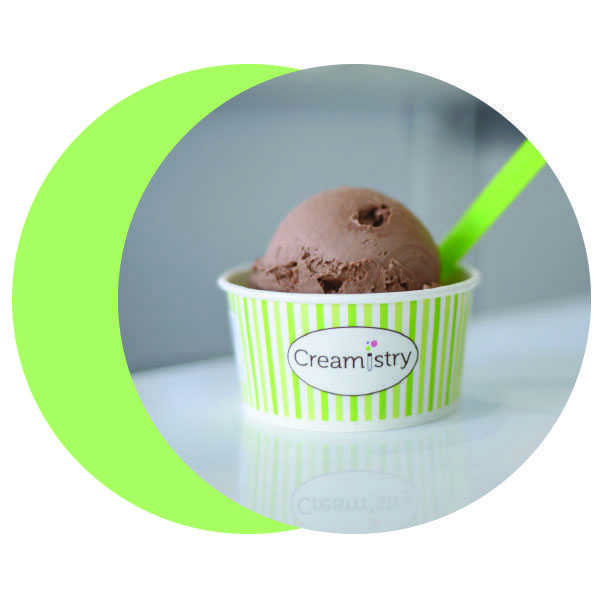 A little bit on the sweeter and more pricey end, Creamistry produces an ice cream that will satisfy any chocolate craving with a texture unlike any other ice cream.